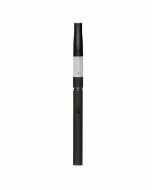 Vape for longer than before and enjoy the flexibility of variable voltage technology. Order the Leaf Buddy Vape CE3 VV Battery with Preheat and USB Charger today. Tired of your vape pen providing only a few hits before you need to recharge? With the Leaf Buddy Vape CE3 VV (Variable Voltage) Battery With Preheat and USB Charger, you can enjoy more draws from your pen wherever you go. Unlike ordinary vape pen batteries, the Leaf Buddy CE3 VV Battery With Preheat and USB Charger gives you the ability to adjust the voltage to suit your needs. The battery has three settings: 3.4 volts, 3.7 volts and 4.0 volts. Setting the vape pen battery is as simple as pushing the firing buttons three times. 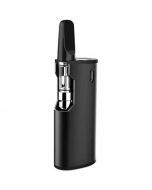 The Leaf Buddy CE3 VV Battery With Preheat and USB Charger is a powerful 350 mAh lithium-ion battery that allows you to savor the flavor of e-juice, oils, concentrates or dry herbs for longer. 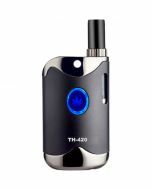 With its preheat function, the battery can have your tank and atomizer ready for use in as little as 15 seconds. The 510 treading makes the battery compatible with a wide range of components. Equipped with LED lights, the Leaf Buddy CE3 VV Battery With Preheat and USB Charger is very easy to monitor. Green, blue and red lights let you easily see which voltage level you're vaping at. Lights also signal when your battery is fully charged. With the Leaf Buddy CE3 VV Battery, you don't have to worry about your vape pen accidentally firing on the go. Simply click the button five times to lock the battery until you're ready to vape. For added safety, the battery also features short circuit and overtime protections. 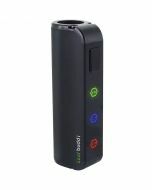 Supplied with a USB charger, the Leaf Buddy CE3 VV Battery is very easy to recharge. Overcharge protection ensures that the battery will charge only until fully replenished. LED Battery Life Indicator: The LED will glow red while charging and will turn green when the battery is fully charged. The battery remains in stand-by mode when not in use.